Are Jersey Ads the Hot New Trend for 2018? The 2017-2018 NBA season is the first season that teams are wearing jersey ads on their uniforms during games. The NBA’s Board of Governors approved this new ad deal as a part of a three-year pilot program. Right now, 19 out of 30 NBA teams have made deals with companies to add ads to their jerseys. According to ESPN, “The Warriors are getting $20 million a year for three years for the Rakuten ad on the upper left chest of their jerseys.” Per NBA rules, half the profit from the jersey sponsorships for each team will go into a league-wide revenue pool. The real question is why did it take the NBA this long to buy into this revenue stream? Jersey ads are not very common in the United States, but internationally you see them often. The NBA joins only the WNBA, Major League Soccer, and NASCAR in featuring jersey ads during real games. Most professional sports in America use jersey ads for practice jerseys but not game jerseys. The MLB, NFL and NHL, some of the biggest U.S. profession sports organizations still do not allow jersey ads during the regular season games. The NBA was the first of the “big four” professional sports organizations to allow jersey ads. Adam Silver, the NBA commissioner, "We're always thinking about innovative ways the NBA can remain competitive in a global marketplace, and we are excited to see the results of this three-year trial." This all started five years ago when the NBA hired a research group to look into jersey ads. SRI, a sponsorship research firm, looked into the possible change in American sports marketing. The study showed that there was an opportunity for revenue, but the concern was how the fans would react. Would this confuse the fan experience by over branding their favorite teams? “The patch is a reasonable solution to balance financial needs and honor the integrity for team names,” says Michael Neuman (@michaelaneuman), a managing partner of Scout Sports and Entertainment. The ad space is only 2.5 inches by 2.5 inches in the left corner of the jerseys. Teams products that are sold do not include the ad on them, only game jersey’s for players. Many NBA fans do not even find sport sponsorships influential, according to the SBR.net, so why should they care that much about jersey sponsorships? Ultimately, NBA executives hope that fans will see this opportunity as a revenue stream for the league and will eventually look past the small ad on jerseys. What does this mean for the rest of U.S. professional sports? Many think the jersey ads are here to stay. It is obvious they are bringing in revenue; it is said the NBA will generate around $100 million to the league’s revenue stream this season because of the patches. Many brands are trying to sell the fans as well by becoming more involved than just the jersey ad. For example, the Brooklyn Nets have a jersey ad deal with Infor, a New York software company. Not only will the Info logo appear on the Nets’ jerseys, but Infor is also providing data and analytics for the Nets organization. Infor is making their brand seem like a true friend of the team instead of just a business partner. The NBA has now taken the leap of faith that the other three out of the “big four” sports markets were too skeptical to take. With the proven success, so far the question is, who is next? Matt Manning, exec VP-global sales and marketing at MKTG, says, “100% the NHL. I don't think the NFL is going to be a trailblazer. When there's critical mass, they'll jump on.” For now, I guess we just wait and see who will be next to hop on the hot new sports marketing trend. This blog post was written by Samford University student Macy Marin. Garcia, Ahiza. “NBA becomes first major US sports league to allow ads on jerseys.” CNN, 15 Apr. 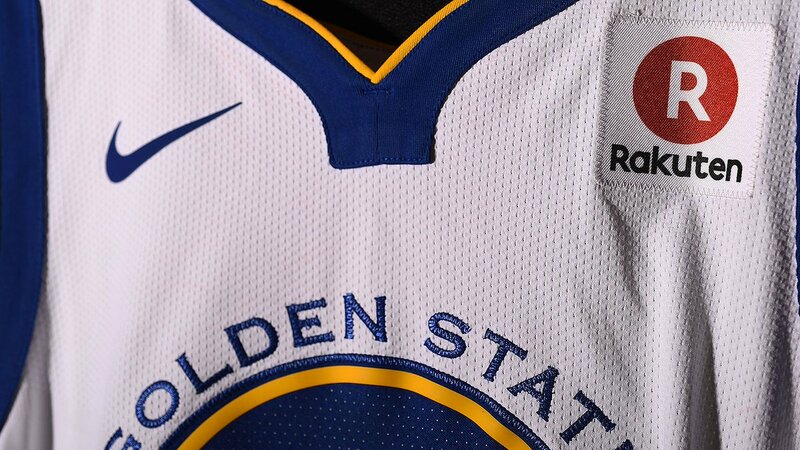 2016, money.cnn.com/2016/04/15/news/nba-jerseys-corporate-sponsors/index.html. Jarvis, Will. “FOLLOW THE MONEY: ADS ON NBA JERSEYS OPEN THE DOORS FOR OTHER TOP SPORTS.” Ad Age , 14 July 2017, adage.com/article/advertising/big-thing-ads-nba-jerseys-china/309744/. Sykes II, Michael D. “An ongoing list of every NBA sponsor patch for 2017-18 season.” SBNATION, 13 Nov. 2017, www.sbnation.com/2017/7/26/16036162/nba-jersey-patch-sponsor-tracker-2017-season. West, Sydney. “The new NBA jersey ads make basketball worse.” The Diamondback, 20 Oct. 2017, www.dbknews.com/2017/10/20/nba-jersey-ads-basketball-under-armour-kevin-plank-soccer-commercialism-capitalism/. “19 NBA teams have now sold ad space on their jerseys.” Market Watch, 13 Nov. 2017, www.marketwatch.com/story/this-company-will-pay-the-golden-state-warriors-20-million-a-year-for-an-ad-on-its-jerseys-2017-09-12?siteid=rss. 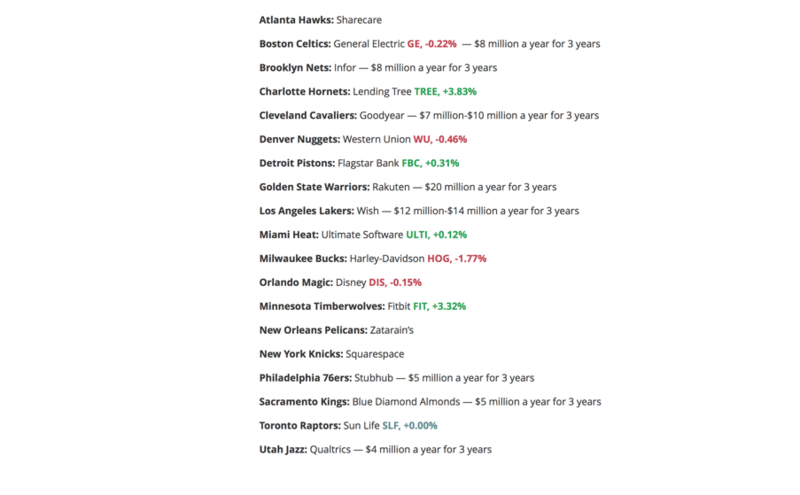 Basketball-NBA Sponsorship Influence Index: Total and by Market Segment. sportsmarketanalytics.com.ezproxy.samford.edu/research.aspx?subrid=857#nbafansum3.